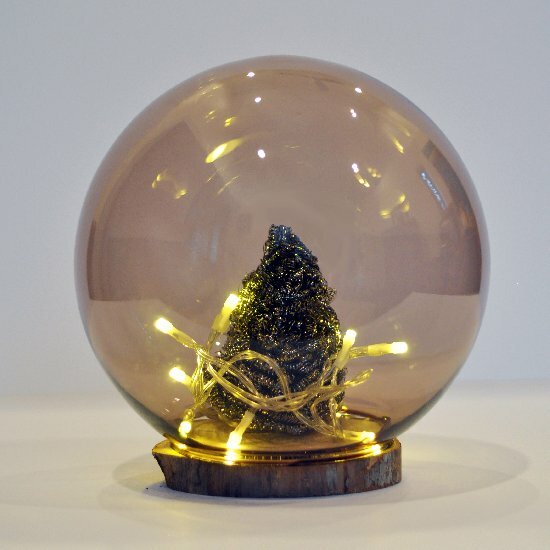 These unusual Christmas tree lights allow for interesting arrangement your interior. You can put them where you want. Not only on Christmas tree, but also on a window, on a wreath etc. It’s the perfect solution for people who like to let go of the fantasy rein. 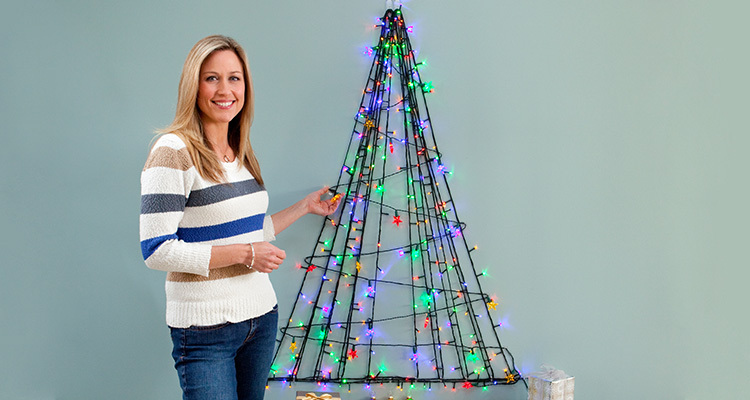 Here are the most beautiful decorations with Christmas lights to inspire you! 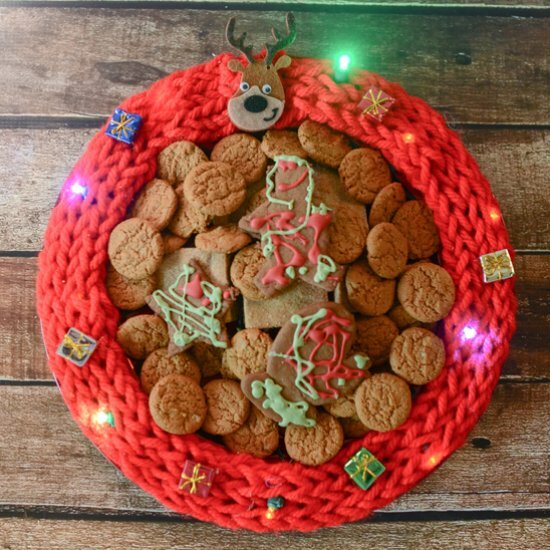 Christmas cookie tray with lights. It’s my favorite ugly sweater crafty thing I have seen thus far. Twinkly Wall Tree. 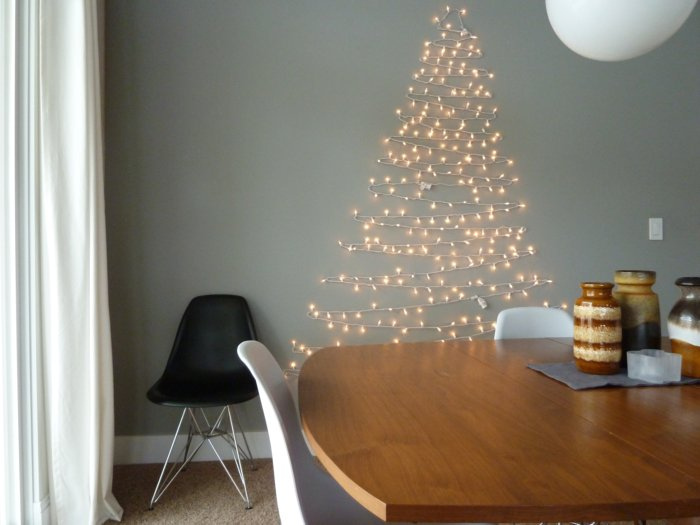 This wall tree is a great space saving alternative. Yogurt Cup Lighted Garland. 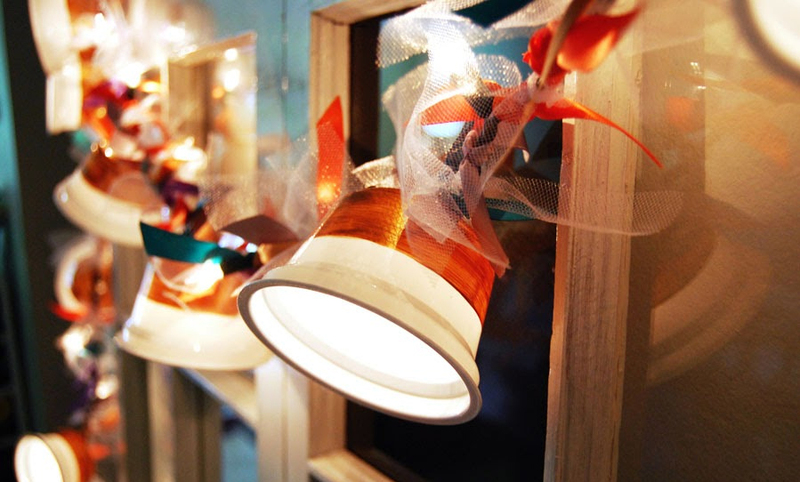 Use yogurt cups and Christmas lights to make this festive lighted garland this holiday season! Starry Light Strands. 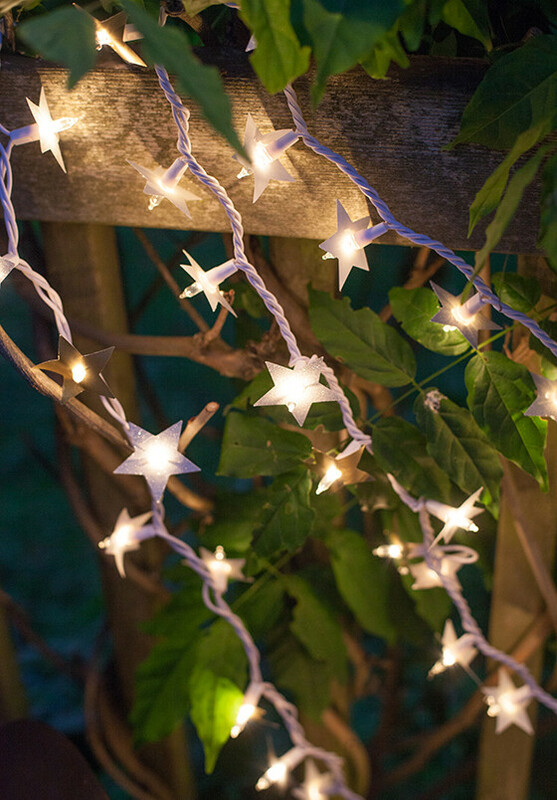 Take your strand of Christmas lights and make a starry light strand to decorate your outdoor parties. 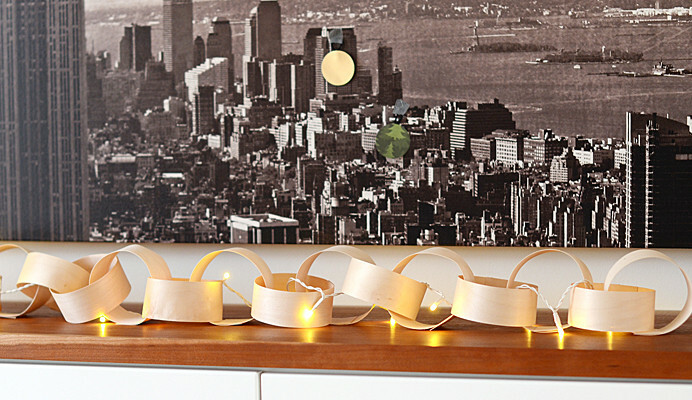 Wood Veneer Paper Chain. Add some fairy lights and you have a modern garland. Wall Light Christmas Tree. It is perfect if you have zero space for a real tree. Mason jar and lights Christmas tree. I love the groovy effect the jars give to the lights. 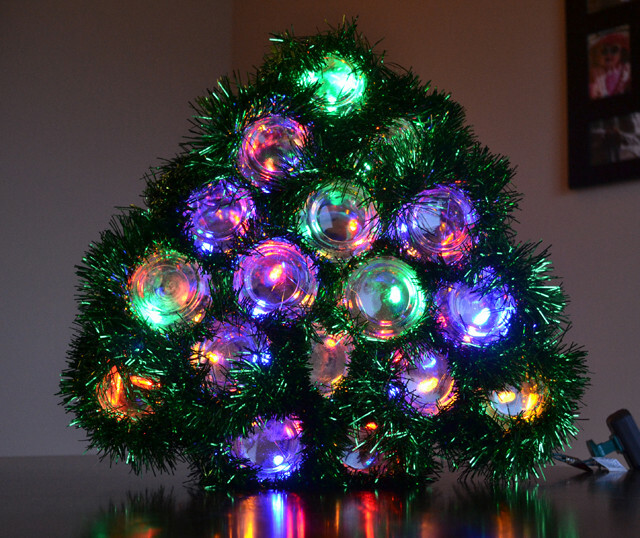 Christmas globe with lights. Make these scouring pad mini trees in 5 seconds flat! 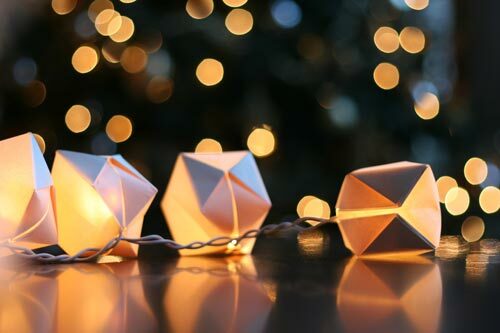 Paper Cube String Lights. These are pretty awesome! Last Minute Winter Scene. 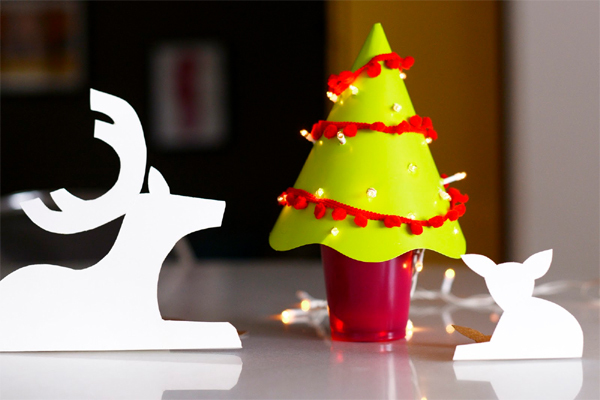 Make a cute Winter scene using paper hat, party cups and christmas lights!